Stored energy gives the world revolutionary potential —the potential to be energy secure; the potential to create highly resilient electrical grids; and the potential to address global climate disruption through increased adoption of renewable energy and electric vehicles. The U.S. Department of Energy’s Argonne National Laboratory has built itself into one of the key global centers of this revolution. Decades of cutting-edge research has yielded breakthroughs in multiple generations of energy storage. Now the question becomes how to maximize the benefits of that research by helping industry translate these types of scientific discoveries into products that can impact people’s daily lives. The Argonne Collaborative Center for Energy Storage Science (ACCESS) is a powerful collaborative of scientists and engineers from across Argonne that solves energy storage problems through multidisciplinary research. ACCESS is the key that unlocks the potential of energy storage, helping public and private-sector customers turn science into solutions. For more than 40 years, the work of Argonne researchers has helped invigorate the U.S. battery manufacturing industry, aided the transition of the U.S. automotive fleet toward plug-in hybrid and electric vehicles, and enabled greater use of renewable energy. ACCESS assembles collaborative teams drawn from Argonne’s 1,400 award-winning and internationally recognized scientists and engineers. 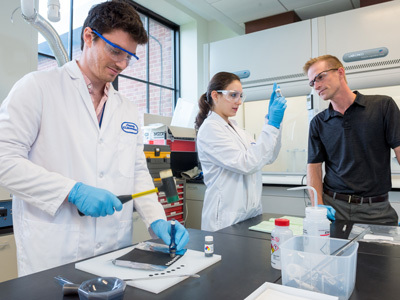 Members represent dozens of disciplines including chemical sciences and engineering, high-energy physics, materials science, mathematics and computer science, nanoscience and technology, and X-ray science. Argonne’s energy storage proficiency captures every point on the spectrum from invention to application, with processes to help you imagine and design, analyze and compare, question and answer, reject and accept. Firms of more than 10,000 employees now account for just half of company-funded domestic R&D, so investment in fundamental research often falls on the shoulders of small- and medium-sized-businesses. This responsibility for early-stage research means small firms need access to the type of resources that can only be found at leading scientific institutions in order to fulfill the promise of American innovation. ACCESS meets this demand with a wealth of resources including state-of-the-art facilities to support energy storage progress. 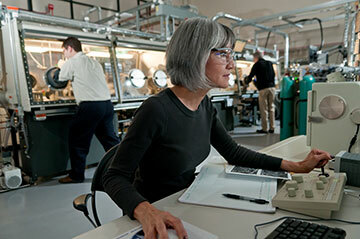 Argonne has demonstrated achievement in meeting a spectrum of energy storage challenges. 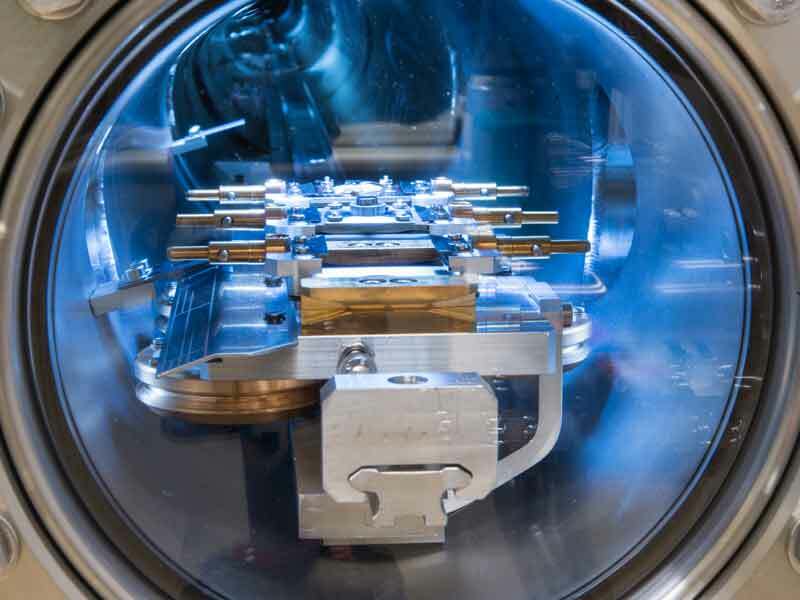 The laboratory has amassed a portfolio of more than 125 patented advanced cathode, anode, electrolyte, and additive components for lithium-ion, lithium-air, lithium-sulfur, sodium-ion, and flow batteries. Licensing agreements—with leading companies including General Motors, BASF, LG Chem, General Electric, and Toda America—to mass produce Argonne’s patented materials for advanced batteries have led to the construction of new plants and the creation of jobs in the United States. Argonne Collaborative Center for Energy Storage Science brings the power of Argonne’s deep scientific capabilities to solve energy storage problems. 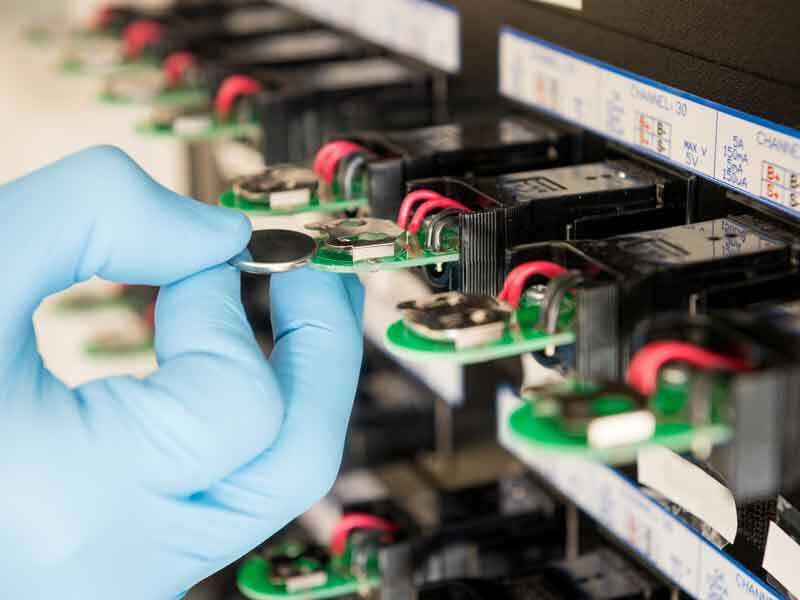 From understanding the fundamentals of charge storage to solving the problems faced by industry, Argonne provides a one stop shop for all things batteries. Today’s changing business climate has led companies to devote additional research dollars to product development, with a reduced focus on basic science research. By developing tailored teams of experienced researchers collaborating in one-of-a-kind facilities, ACCESS offers companies an affordable, manageable alternative to increase their stake in scientific discovery.